Hover over or tap the photos above to see their captions. 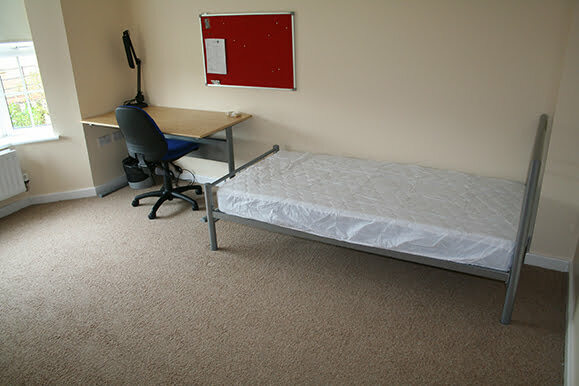 The photos show typical examples; not all the accommodation is identical. 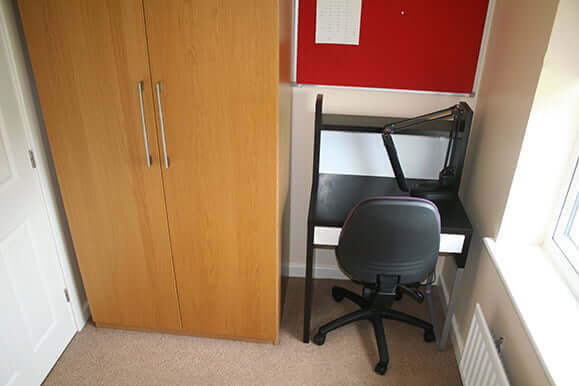 This accommodation is situated within walking distance of Hunter Street and Verney Park. There are 7 flats. 6 of the flats are situated in ‘Gregory House’ and the 7th flat can be found next door. 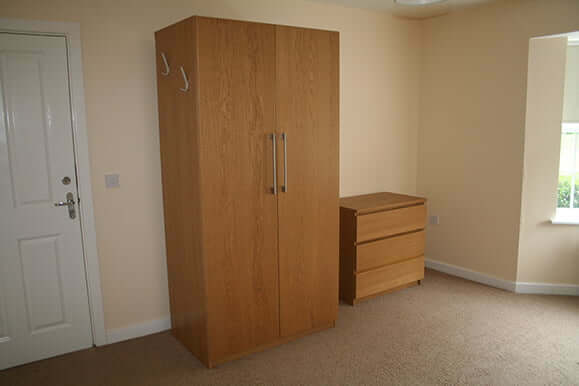 Each flat has 3 bedrooms which vary in size. 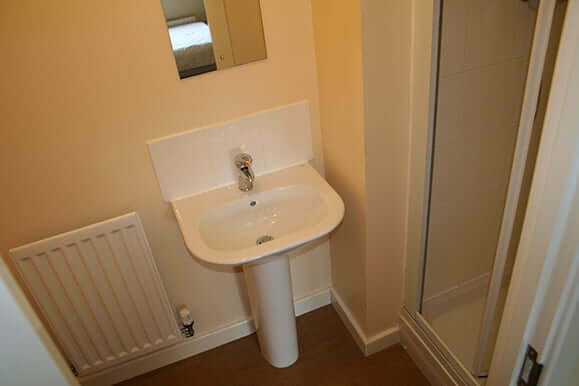 Typically, there is 1 ensuite room per flat. 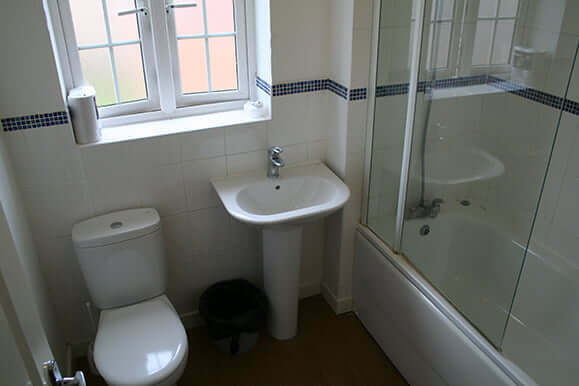 The other 2 rooms share a family bathroom. There is very limited ‘communal’ space and not all kitchens are big enough to accommodate dining facilities. 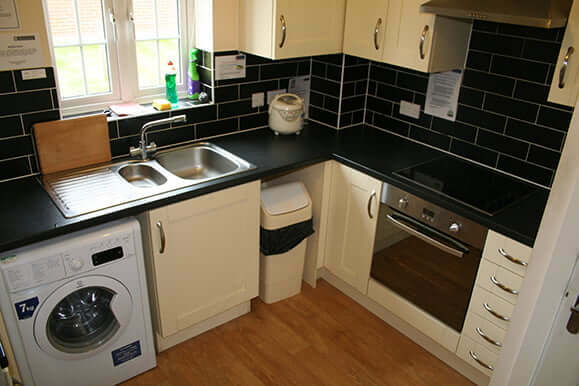 There are washing machines in the kitchens. All prices are inclusive of wi-fi and bills. Domestic Services visit the flats Monday to Friday. 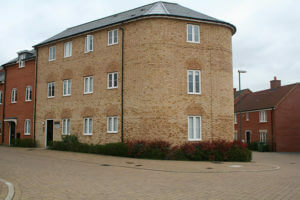 All accommodation at Moreton Road is designated quiet. Although there are no allocated car parking spaces, you can park your car on the road, as long as it does not cause an obstruction. 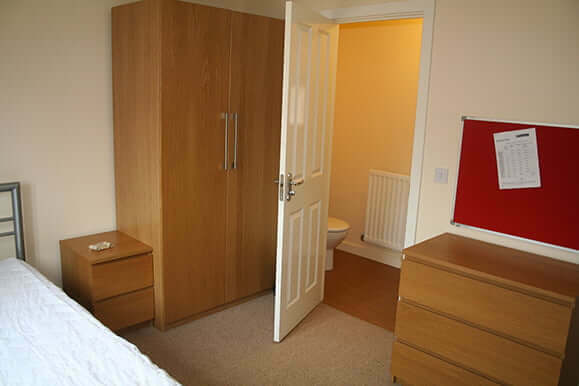 Ensuite rooms (5) – These are a generous size and have 4ft beds. 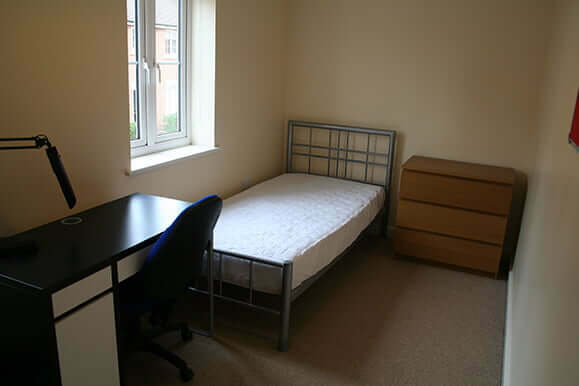 Large room (1) – This room is a generous size and has its own flight of stairs within the flat. There is a 4ft bed in this room. 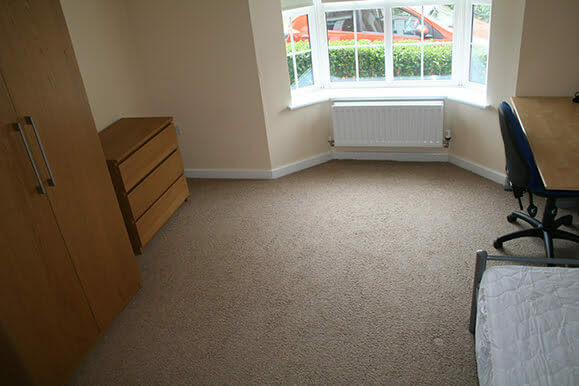 Medium room (11) – These are a standard size. 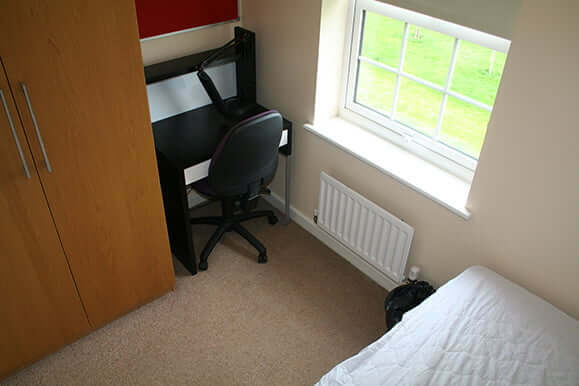 Small ‘Supersaver’ room (4) – These ‘box’ rooms are very, very small.